There are many reasons why we think you should consider ECUWEST over other Tunefile Suppliers which are paramount to your business and being successful in this industry. We arent about growing our dealer network for maximum profit. Instead we choose quality dealers and we provide a more niche and personalised service for them. Our customer and dealer support is at the top of our priorities and as such we believe it is second to none. You will be able to pick up the phone and talk to us to get real time assistance with any issues you are having. You’ll carry the name of our business so therefore we ensure you receive the best support possible and the best outcomes for your clients. As ECUWEST was the first organisation in Australia to run Alientech Tuning Training Courses, and the first Australian Alientech Dealer, we know how to tune – we don’t just buy files from overseas. We aim for quality over quantity, there’s no waiting 24 hours for tuned files or revisions. Our KPI for tunefile turnaround is under an hour – many times its less than this. ECU Remapping and Training is our core business, we don’t sell fold up chairs or spotlights and awnings etc – just high performance tuning. There is one set price for tunefiles – no hidden costs or extra add-ons. We only use full registered and legitimate versions of tuning hardware and software so you will get the best OEM support there is. 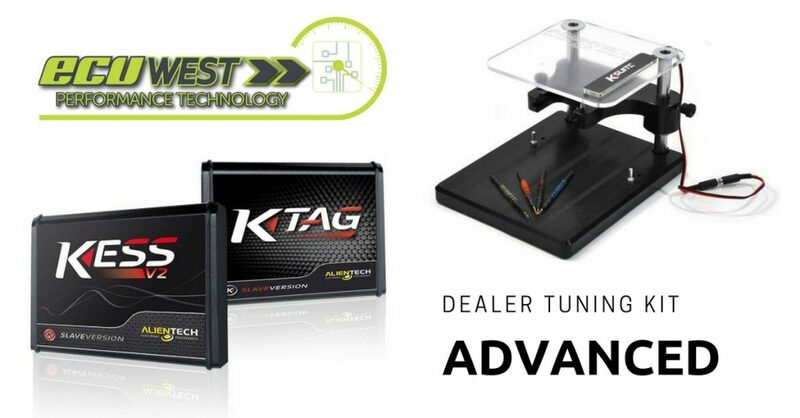 ECUWEST encourages our dealers to grow their tuning knowledge. After a qualifying period you may ask to upgrade your tools to master and providing you undertake one of our Training Courses, this is something we can look at. Become an ECUWEST Tuning Partner. Fill out the form below and our friendly sales team will contact you. We can also provide finance for your tuning kit.